On Thursday, March 21st, join Growing the Future’s Horticultural Trainer, Susan O’ Brien, for a Herb ‘Thyme’ course. Booking is essential. 10am-2pm. £33 (£30 Concessions & Garden Members). For more information, including how to book, please call 01558 667150, email gtf@gardenofwales.org.uk or visit the Garden’s Eventbrite page. As Wales’ national flower, it makes perfect sense for the magnificent daffodil to be so well represented at the National Botanic Garden of Wales. Since opening in 2000, the Garden has shown over 50 varieties of this showy, distinctive beauty. The Growing the Future project’s Daffodil Day will help you to understand the subtle differences between daffodil varieties and show you where to look for them. There will be an indoor talk at 11.30am in the Paxton Room of Principality House by co-author of the Garden’s new Daffodils booklet, Dr Kevin McGinn, Growing the Future’s Science Officer, followed by an outdoor tour of the Garden’s late spring collections at 1.30pm, plus daffodil craft stalls in the iconic Great Glasshouse. Spaces on the daffodils talk and walk are bookable via the Garden’s Eventbrite page. To coincide with the Garden’s new Daffodils booklet and to draw attention to our fascinating variations, photographer and Garden volunteer, Mike Danford, was asked to search for and record a varied selection of the Garden’s living daffodil collection in 2018. The result is an amazing Daffodils exhibition in the Garden’s Gallery which will run until Sunday, April 7th. Prints of a selection of images can be purchased in the Garden’s Gift Shop. There’ll be a beeswax candle rolling and daffodil decoration demonstration on the Great Glasshouse’s stage at 11am, 1.30pm and 3pm by Growing the Future’s Ecosystems Trainer and Beekeeper, Lynda Christie. Learn about the products of the hive produced by the honeybees, including beeswax and its use in candles. Spaces for this demonstration are bookable via the Garden’s Eventbrite page. If you’re inspired by Lynda’s demonstration, she’ll be holding a Beeswax Daffodil Making Course on Wednesday, April 3rd. 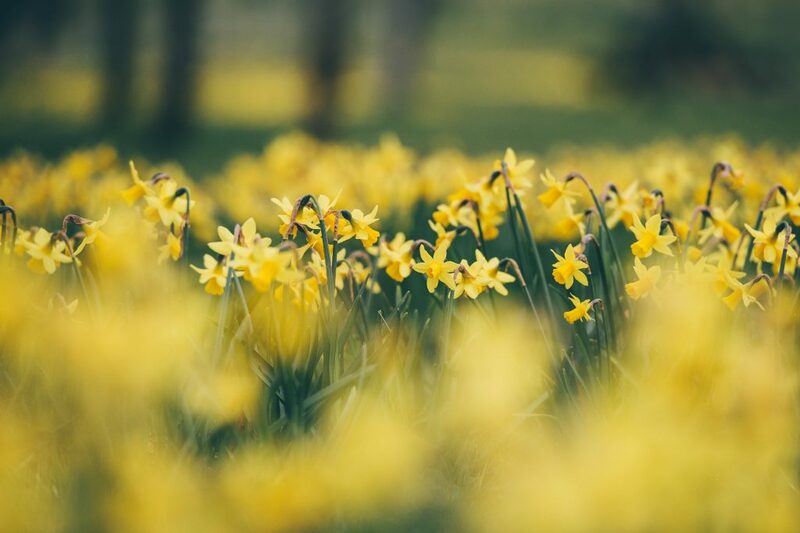 On Wednesday, April 3rd, join Growing the Future’s Ecosystems Trainer, Lynda Christie, for a Beeswax Daffodils course. Learn about the structure and anatomy of a daffodil and the properties of beeswax for modelling. Reconstruct your own flower using beeswax to take home. Booking is essential. 10.30am-2.30pm. £45 (£41 Concessions & Garden Members). For more information, including how to book, please call 01558 667150, email gtf@gardenofwales.org.uk or visit the Garden’s Eventbrite page. On Thursday March 28th, or Monday April 8th, join guest horticultural trainer, Mark Sheppard, for a one-day introductory course on the benefits of no-dig gardening. On Friday, March 22nd, join Hub Cymru Africa for their Permaculture and Nutrition in International Development event. Held at the National Botanic Garden of Wales, in partnership with Growing the Future; there will be tasty healthy food to eat and an opportunity to network and learn from groups and charities from across Wales. This free event is open to all individuals, groups and charities working or interested in International Development with a Permaculture or Nutrition focus. The event finishes at 3.30pm but with free access to the National Botanic Garden of Wales included, there’s no need to rush home. Please book your free ticket through Eventbrite.